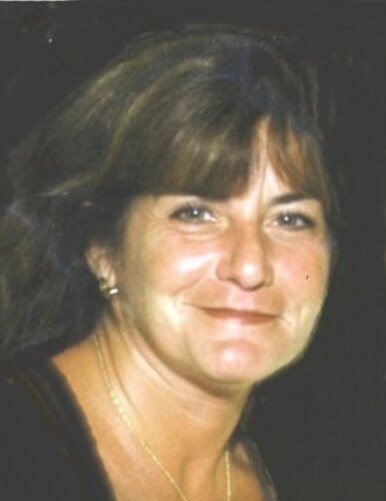 Donna M. (Giorgi) Doyle, 57, passed away on Friday, March 23, 2018 at Philip Hulitar Inpatient Center. She was the wife of the late Timothy R. Doyle. Born in Providence, she was the daughter of the late Eleuterio “Larry” Giorgi and Jane (Morrissey) Giorgi. Donna was a 1978 graduate of North Providence High School and a graduate of Katharine Gibbs College. In her early career she worked at Cranston Print Works and then went to work at Sunn Car Rental, Towing & Realty with her first husband, David Loffredo. Donna’s love of children led her to work as a teacher in daycare and as a nanny. Most recently she worked as the office manager at LJ Giorgi Plumbing & Heating. Donna was a smart, fun-loving, and thoughtful person. She loved to travel and vacationed annually in Aruba. She enjoyed playing pool, dancing, and decorating for the holidays, especially Halloween. She is survived by her brother, Larry J. Giorgi; and his wife Jessica; two sisters, Karen A. Giorgi and Linda Tonge and her husband Bryon; and her nieces and nephews, James Giorgi and his wife Julie, Toni Liberatore, Joseph Liberatore and his wife Aislinn, Nicholas Giorgi, Serafina Giorgi, Larry Giorgi Jr, Isabella Liberatore, Joliana Hagerty, Daniel Hagerty, Ella Giorgi, Ava Giorgi and Cameron Thatcher. She was the sister of the late Joseph Giorgi. Visitation will be held Tuesday, March 27, 2018 from 5 – 7 p.m. in the MACERONI FUNERAL HOME, 1381 Smith St., North Providence. Relatives and friends are invited to attend a Mass of Christian Burial Wednesday at 10 a.m. in Mary Mother of Mankind Church, 25 Fourth St., North Providence. Burial will follow in St. Ann Cemetery, Cranston. In lieu of flowers, donations in Donna’s memory may be made to: Hope Hospice & Palliative Care, 1085 North Main St., Providence, RI 02904.